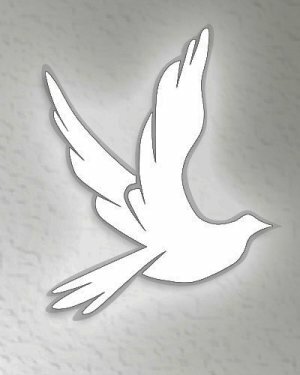 Ecru-James Daron Addington, 77, peacefully transformed to the life eternal at 11:30 AM on Wednesday, October 24, 2018 at Sanctuary Hospice House in Tupelo. Born in Tupelo on April 9, l941 to the late Daron and Evelyn Temple Addington, he grew up in the Temple Grove community north of Nettleton with his big sister, Arweeda and a host of family and friends. He graduated from Nettleton High School in l959 where he was a standout, award winning athlete and quarterback for the 1958 NHS undefeated state champion “perfect” football team coached by Coach Jack Carlisle. Jimmy, as he was known by family and school mates, secured a full scholarship to Memphis State University (now University of Memphis) where he was an outstanding quarterback on the Tiger squad for 4 years. Jimmy received a degree in Construction Engineering and went to work for Ford Motor Company, later working for his late brother in law, Jim Miller. He later worked as an executive for Houses International, a worldwide construction company which specialized in residential and commercial metal buildings. He resided much of this time in Texas and Illinois. His work literally took him around the world to countries like Russia, Africa and other foreign lands as well as throughout the USA. Later in life, he founded Ecru Landing, Inc., which included rental properties all over Northeast Miss. Jimmy had a great life, saw the world and met so many interesting friends along the way who cherished his southern charm and demeanor. He enjoyed hunting, fishing, listening to great music from country-western, opera, classical, gospel, and music from the l950’s and l960’s, and good literature. Jim was a great cook and a family-oriented man. He cherished his only daughter, Angie Greer and her husband Bill, and his only grandson, Tristan Greer, who affectionately knew him as PaPaw Jim. Jimmy, despite his world travels, never forget his beginnings in Nettleton and loved to visit old friends and attend class reunions of NHS. He kept his Church membership at Shiloh United Methodist Church near Nettleton the whole of his life. A service celebrating his life will be held at 2 PM Saturday, October 27, 2018 at the Tupelo Chapel of Holland Funeral Directors with Rev. Cecil Locke officiating. Coach Jack Carlisle will deliver personal reflections. Burial will follow in Lee Memorial Park next to his parents. Visitation will be from Noon-service time on Sat. only at Holland-Tupelo Chapel, which is honored to be serving their friends. Jimmy leaves his daughter, Angela “Angie” Addington Greer and her husband, Bill of San Antonio, Texas and her mother, Carole Newman of San Antonio, TX; His only grandson, Tristan Addington Greer, a student at the Texas Tech University in Lubbock; His sister, Mrs. Jim (Arweeda Addington) Miller of Tupelo and his nephews, Stan, Kevin and Mike Miller. cousins and many friends around the country and world. Pallbearers will be Bill and Tristan Greer, Stan, Kevin and Mike Miller. Memorial contributions may be made to Shiloh United Methodist Church, 924 Road 1205, Nettleton, MS. 38858.